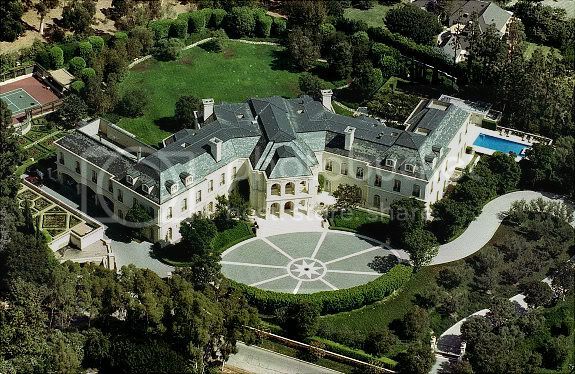 Oprah's $50 million mansion in Montecito, California covers 42 acres. The house itself is 23,000 square feet. It has 6 bedrooms and 14 bathrooms. Some of the improvements Oprah has made since purchasing the house in 2001 include the installation of a massive home theater, building a man-made lake with rare fish and having Montecito sandstone bricks hand-laid in the quarter-mile long driveway. 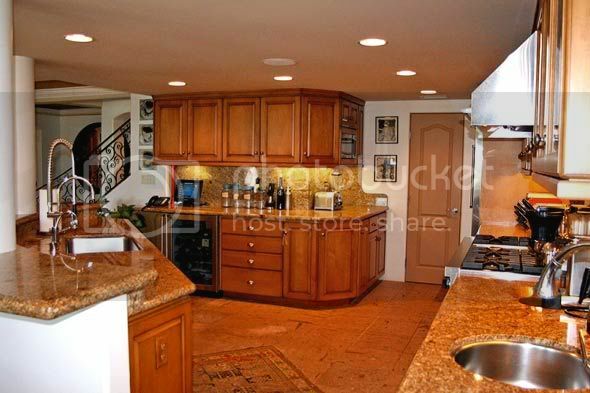 She also put in a closet the size of an ordinary master bedroom for Stedman. Paris Hilton bought this Beverly Hills mansion, which sits across the street from Avril Lavigne's home, for a reported $6.25 million. The 7,500 square foot Mediterranean-style home has 5 bedrooms, 6 bathrooms, a swimming pool, spa, gym, maid quarters, and a wine closet. Ozzy and Sharon Osbourne recently bought this 11,000 square foot home in Hidden Hills, California for an estimated $10 million. The home has 6 bedrooms, 10 bathrooms and sits on 2.3 acres. Other celebrities that reportedly live in Hidden Hills include Denise Richards, Matt LeBlanc and Lisa Marie Presley. 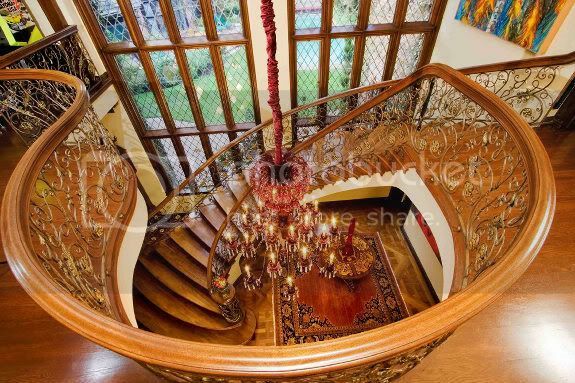 Ozzy and Sharon sold their former Beverly Hills mansion, where their MTV reality series was filmed, to Christina Aguilera for roughly $11 million. 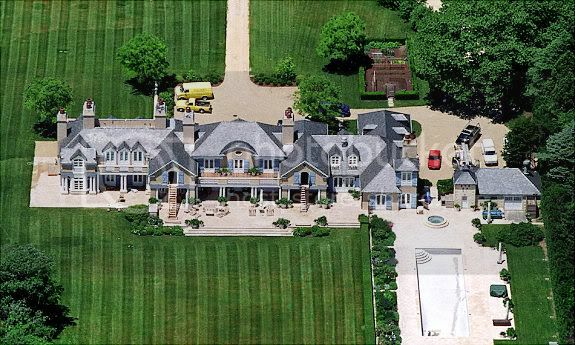 Jerry and Jessica Seinfeld bought this enormous East Hampton, New York estate for a reported $32 million from rocker Billy Joel. The home includes a 22-car garage and a baseball diamond. OK! Magazine named it the #1 celebrity party house. 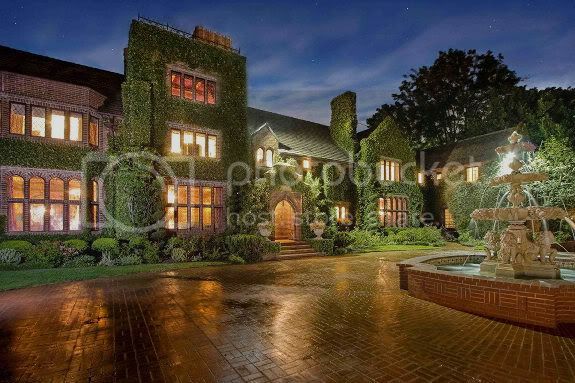 Producer Aaron Spelling's widow, Candy Spelling, has put The Manor up for sale. The massive 56,500 square foot estate is listed for $150 million, making it by far the most expensive home for sale in the U.S. The home, which sits on 4.6 acres, is the largest residence in Los Angeles County. It features a bowling alley, wine cellar, wine tasting room, gift wrapping room, a humidity-controlled silver storage room, gym, screening room, beauty salon, tennis court, waterfall, pool, spa, reflection pool, pool house with a kitchen, 16 carports, and a winding motor court with space to park more than 100 cars. 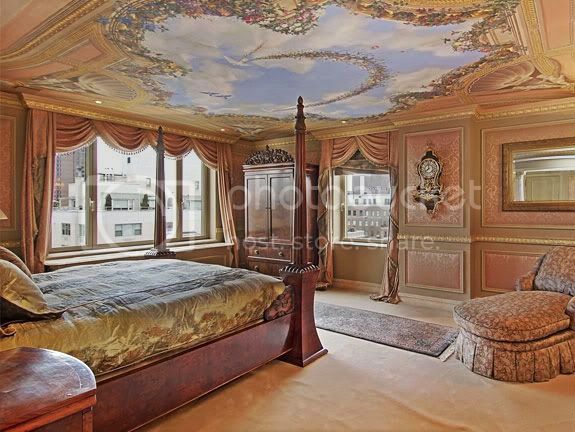 Rush Limbaugh put this 4,600 square foot NYC pad on the market for $13.95 million. He bought the condo bacl in 1994. Artist Richard Smith painted murals on the ceilings and walls throughout the opulent home, according to the listing. Now that Jesse James and Sandra Bullock are getting a divorce, Jesse has put their Los Angeles home on the market. The 3,600 square foot Mediterranean-style villa will be sold along with a condo James owns down the street. Listed at $6.75 million, the Sunset Beach property was recently remodeled in 2002. It's located right on the sand only a few miles from the Newport and Huntington Beach piers. The design inside the house is pretty relaxed with each of the four bedrooms having it's on bathroom. The simple, but beautiful home has gleaming hardwoods and first class views of the Pacific Ocean. The kitchen has custom maple wood cabinetry with granite countertops, a Viking stove, stainless steel appliances, and an ornate iron staircase which plays off the Mediterranean theme. Nicolas Cage, who has reportedly been plagued with money troubles, has finally sold this Bel Air estate for a lot less than the original asking price. The 11,000 square foot home, once owned by Dean Martin, was first on the market for $35 million in 2007. Cage then slashed the price to $17.5 million and again to $9.95 million. The estate was only one of the properties in Cage's real estate empire. He also owns homes in New Orleans and New York City. The home sits on more than an acre and is surrounded by a pool, gardens and lush grounds. If you were a celebrity, what kind of home would you have? those homes are amazing!!! Makes any "normal person's home" look like a nice cardboard box in an alley =) But I can afford mine without having to have my life thrown for the world to see! I think if I were a celebrity I would go for Johnny Depp's private island retreat. I like the idea of being away from the b.s. Question: Why is Ozzy & Sharon's pool so.far.away from the house? Gawd, who wants to trek that far to lounge?! My jaw is still open over the 65,500 sq foot estate. HOLY CRAP!!! I loved this post! I love looking at homes that I covet. I don't ever want to be a celebrity, I just want one of them to hire me. You hear that celebrities??!! Hello! I guarantee my fees are much less than any designer out in Hollywood. 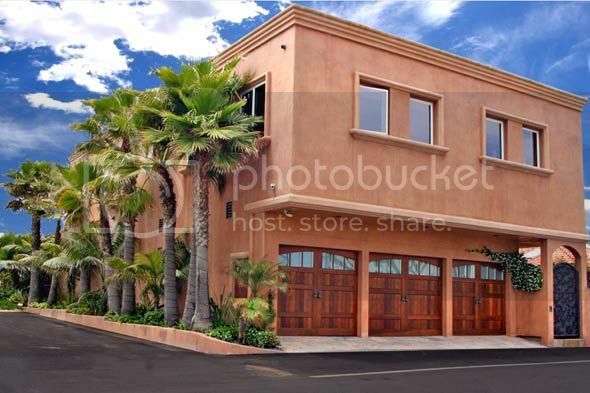 Too bad I don't have 6.75 million laying around because I totally love Sandra B's Sunset Beach home! A GIFT WRAPPING ROOM? I can't even wrap my brain around having more than one bathroom right now. Thank goodness Paris' pool has a fence around it. I totally love the inside of Sandra's house, but the outside is a little different. Jerry and Jessica's looks more my overall style even though a 22 car garage would be a little crazy. It must be because I'm poor that I feel like if I was a millionaire I wouldn't want to spend my money on upkeep for a house that is so huge I never even go to the one wing, ya know? It's ridiculous. Maybe I'd buy a mansion and then let people with no money come live there if they kept it up. If they didn't then they'd be out. Nobody ever said I was smart or charitable. Wow, those are some nice houses! It would be pretty convenient to have anything you need at your own home if you are famous! You wouldn't need to worry about paparazzi at the movie theatre or gym if you have one at home! Gorgeous homes! I want to move in with Oprah or Jerry! I have seen one of Nicholas Cage's homes in New Orleans...well it isn't his anymore. I also saw Brad and Angelina's NO home. 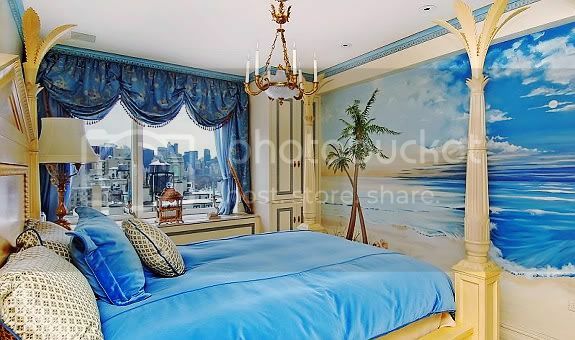 I love murals so Rush Limbaugh's apartment is amazing. So is Nicolas Cage's house. God I love that! oh goodness, oprah's house looks exactly like mine. i plan on putting a mcdonalds inside my house, because i'm fat. I'll take one of each please!!! I would want one that has an amazing master bath and a ginormous walk in closet....and a pool...with a cute pool boy!!! I was in Santa Barbara working in MOntecito when Orca bought that place. 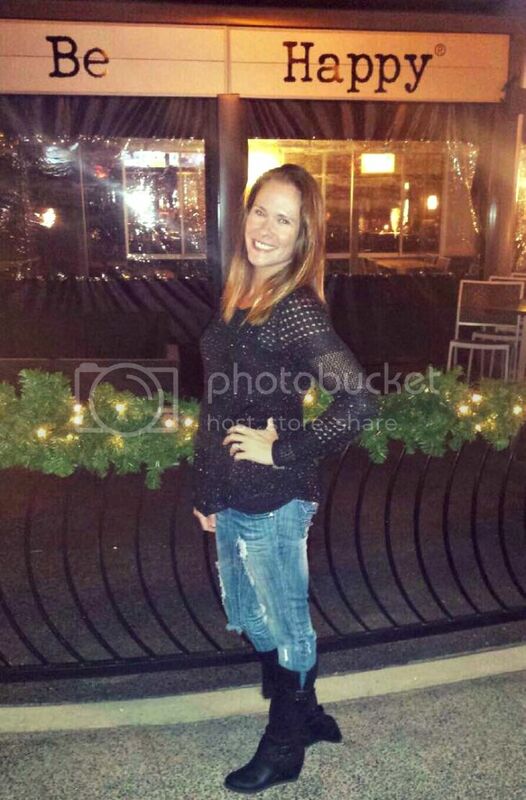 I was WAITING for her to come into Palazzio so I could have a good blog for you all on Friday. I've seen Jesse James's house, but I didn't realize it was theirs until after the fact. If I were wealthy, I'd have a house right on the beach in Orange County, a cabin in Montana and a loft in NYC. All I can say is that a girl can dream. Then again I'd have to hope I had hired help because I wouldn't want to wash all those darn windows! Wait. I'm still shopping for one of those gift-wrap organizers. If I'd realized I could have had an entire room...well. I know one kid who's losing her bedroom.